The Center for Neurotechnology (CNT) at the University of Washington (Seattle, WA) sponsors a 10-week immersive summer research program for undergraduate students. 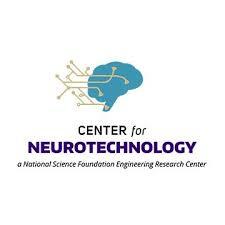 The CNT’s mission is to develop innovative neural devices and methods for directing engineered neuroplasticity in the brain and spinal cord, which will improve sensory and motor function for people with spinal cord injury, stroke and other neurological disorders. Engineered neuroplasticity is a new form of rehabilitation that uses engineered devices to restore lost or injured connections in the brain, spinal cord and other areas of the nervous system. Their unique innovation ecosystem helps to advance these research goals, bringing together researchers, educators and industry affiliates to train future neural engineers and efficiently move research discoveries out of the lab to benefit end-users of emerging neurotechnology. Participate in neural engineering research. Improve your critical thinking, scientific communication and presentation skills. Prepare and present research results to the scientific community. Earn $5,500 plus housing and travel funding. This entry was posted in Employment/Internship, Scholarships/Resources, Summer Program. Bookmark the permalink.